On our travels this year many of the team have accidentally come across a beautiful Vintage Mobile Cinema travelling the country. Be it at Goodwood or the depths of Devon, we have been fascinated by the bus itself and the wonderful films it has shown. The 22 seater vintage mobile cinema will be motoring its way up to Birmingham for Flatpack this year. It will be popping up in locations around the city and screening a mixture of local archive footage, shorts and fun family films over the week. I came across the bus in Bristol where it was parked outside the Arnolfini Gallery on the Waterfront. The bus was getting a lot of interest and people were queuing for screenings or to just get a peek of the interior. 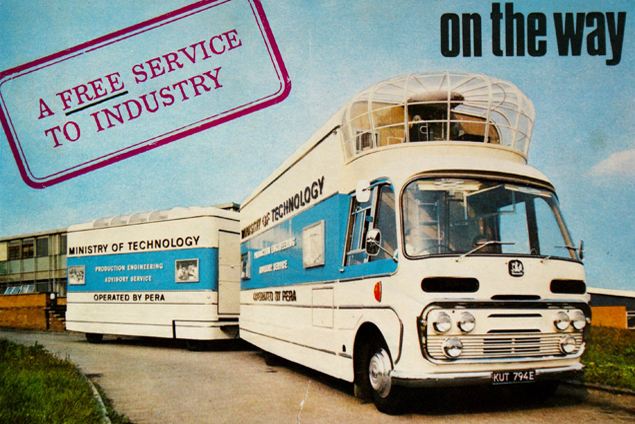 The bus was built in 1967 and is the only surviving of a fleet of seven built by the Ministry of Technology. It was used to showcase modern British production techniques at factories across the country. 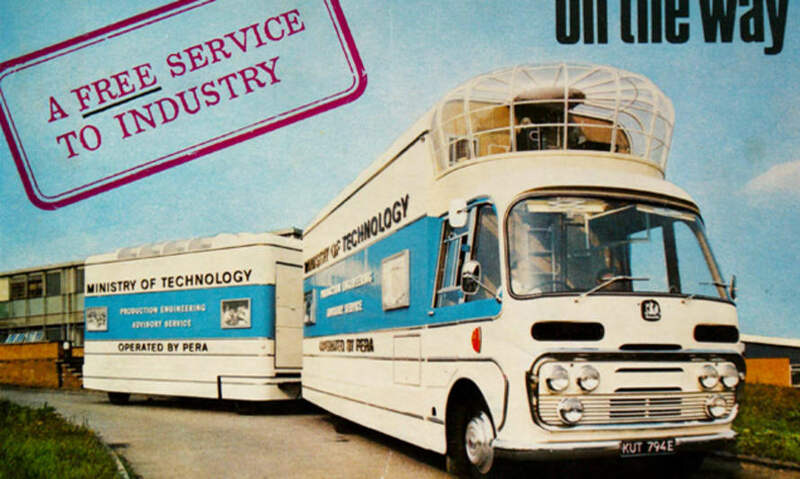 As well as screening films, illuminating lectures on ‘economical machining’ and ‘value engineering’ were presented, and the bus towed a massive trailer which exhibited equipment. After touring for a few years, the vehicles were sold off. The bus has been carefully restored over the last five years and is touring the country once more. Details of the films to be screened and locations of the bus will be announced at the end of February.